Keeping your warehouse safe and running at maximum output is a difficult job. You need to constantly monitor the shifting experience in the warehouse as new members and equipment enter your team and old ones leave. Below, we have briefly outlined 3 key measures for running an accident-free warehouse and hope they provide some insight, inspiration or even just a mental check for your warehouse operations. One of the key strategies in reducing workplace accidents is having clearly laid out signage. No employee is going to be focused 100% on the job for their entire shift and even if they have been working for years, they may still make the odd mistake or forget certain rules. Signage is there not to teach the rules but to remind people of them. Signs should be easily visible and simple, so that the message they are trying to convey can be understood in a split second. If you are creating your own signs think about what distance and height you need them to be readable from and remember the speed at which some of the traffic will be moving. Signs shouldn’t be text heavy if they are to be read at speed. Warning sounds are another important feature of a well functioning warehouse. Your load shifting equipment should be fitted with reversing beepers and a horn. Warning sounds provide an extra level of safety on top of the signage and the training that your staff has received. 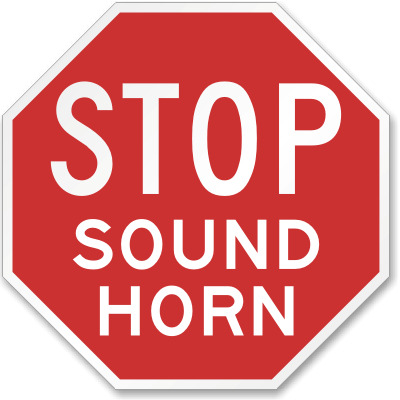 Make sure your warehouse has a policy of honking when entering an intersection as this can drastically reduce accidents. To further increase safety you could also install convex mirrors to provide visibility around high traffic corners. Traffic lights can be fitted to your automatic doors, advising status of door movement. Many forklift drivers approach an open door assuming it will stay open, -only to find it closing as they enter the doorway! Traffic lights help control this issue and many door systems such as the Movidor High Speed Doors by Remax have an option for integrated traffic lights. No matter how much thought goes into the design of the warehouse and the signs put up, it will be pointless if the people who work in it are not adequately trained and educated to run it at its maximum output. As a rule of thumb - do not allow people to operate any machinery until you are certain of their abilities. You should also make sure they complete a site safety induction before they use any load shifting equipment. Training is important to ensure maximum efficiency, safety and output of any warehouse. Whenever a new product or piece of equipment is introduced into the workplace everyone should be briefed on it and provided with the adequate training to handle it. Keeping a log of hours for both training and working will let you know which employees are up to date with the latest procedures. It is also important that your staff understand safety procedures. Your workers should be educated on things such as always wearing a seatbelt when operating machinery and not attempting to exit a tipping forklift, as these measures can save lives. It is also important to remember that any visitors to your warehouse will be unaware of your processes and will need adequate instruction and supervision if they are navigating the premises. There are three key features of warehouse design that will increase the safety of your warehouse. All pedestrian walkways should be clearly marked and pedestrians should not deviate from these areas. It is essential that guests are supervised and understand that they need to stay within the lines. Line marking should also be used for traffic areas to denote stopping distances and speed limits to assist in keeping the workflow efficient and safe. It is also crucial that the lane widths have a buffer zone on top of the maximum width of the loads passing through it. This will allow a margin for human error and reduce accidents. You should attempt to close off designated load shifting areas from pedestrian access either completely with partitioning walls and dividing screens or if that is not possible, partially with guard rails. If you do have employees working on the ground in load shifting areas place guard rails or steel railings to ensure their safety. By carefully placing bollards around entry and exit points you can also stop pedestrians from walking directly into oncoming traffic. This part of warehouse design is so often overlooked yet has such a large influence on how the warehouse functions. You should always aim to have a well-lit warehouse with limited shadows and low visibility areas. 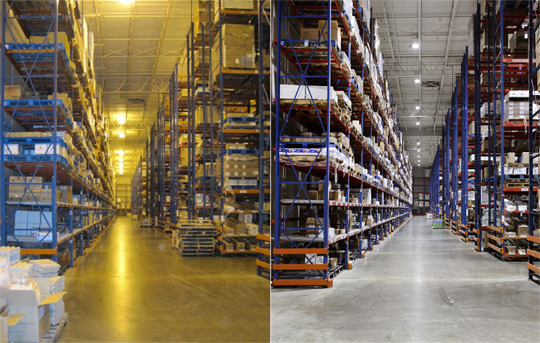 Using fluorescent lights instead of metal halide lamps will illuminate your warehouse better and cast less shadows. It also has the advantage of creating energy savings of up to 80%. You should also try to maximise the amount of natural light you can use in your warehouse. Natural light diffuses a lot more than electric light creating less shadows and filling the warehouse more completely. It also allows massive savings on your warehouse lighting bill. There are even studies showing that natural light will lift your workers’ performance. These three measures are only just the tip of the iceberg. If you are interested in diving further into warehouse traffic management, please refer to our complete warehouse traffic management checklist. Or, if you would like a more comprehensive view of how to increase the safety of your warehouse operations, please download our free eBook by clicking on the link below.